I’m always trying to think of useful ideas for the DIY blogging segment over here on Fall For DIY. It’s sometimes difficult to write about blogging subjects in a different way from how it’s already been done and still be full of beneficial information to the reader. That’s why I love it when you ask me questions. It really helps me to look at my processes thoroughly and honestly. I try to find a way to explain what I do in a way that could genuinely be useful for anyone looking to start or already blogging. Or even if you’re promoting a product or service online. We’re all working in the same area and whether you choose to take in all of my advice or just mull over one aspect of it, sometimes it’s helpful to get a different opinion or listen to an alternative way of thinking. So I was pleased when Alina from Now On DIY sent me over a Facebook message to ask me about scheduling. How, as a fellow GMT time zone blogger (Alina is from Iceland! How cool is that… no pun intended), I decide how to schedule my posts for a world-wide audience. It really got me thinking because it’s not often that I actually do think about it. Some of my scheduling is so automatic now it comes as second nature and then on the opposite side of the scale some is just non-existent because I forget to do it so often! It was great to get a little jolt to remind myself of what I’m already doing and how I can improve upon the systems I currently have in place. With that in mind I’ve decided to write a little bit about the scheduling processes I’m already using for each social network. I thought I’d take a two-pronged approach. 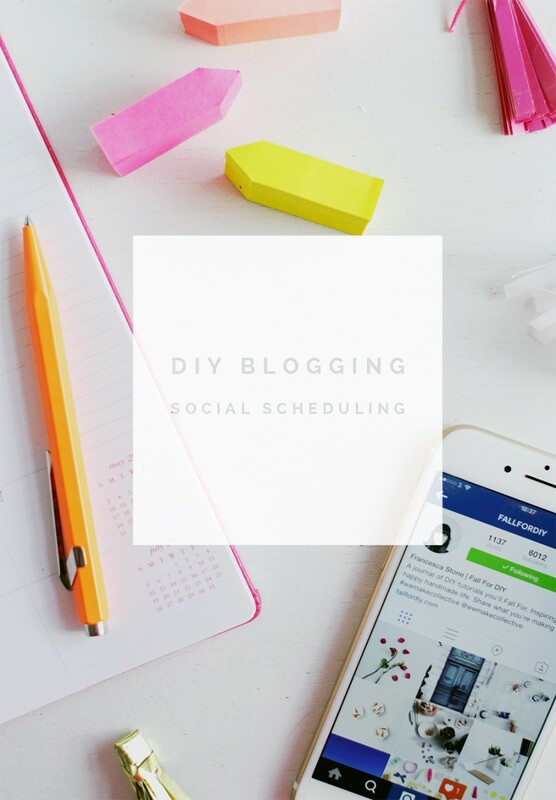 Firstly look at how I’m currently scheduling my blog posts to access what is working and what is not working so much. Then additionally discussing what I want to be doing in the future to give myself a motivation boost and see if I can get your opinion or advice if you’re doing something similar and how it’s working for you. At the moment I share my blog posts once, immediately after I’ve published. I use the Facebook scheduler to check my post before sharing so I can review whether the image is showing full width with the description below. This showcases the post at it’s best and I can see if I’ve used the right image after the crop. To schedule the post with an alternative image and excerpt for a few days later at a different time. Now that Facebook take so much control over when they show your posts and to who it matters a lot less when you post and more that the post is interesting. A well received post can still be seen days later by your followers at any time they are using Facebook. Perhaps scheduling your post at a time you know many of your followers are online might help to boost the initial response. I’ve not tested this but you can find out when the highest amount of your followers regularly use Facebook in your insights. Ahh, Twitter. The one that gets left behind. I love chatting on Twitter but always forget to schedule posts on there, which is crazy because it should be the place I’m scheduling the most. Tweets come and go in a flash and if you want things to be seen by many you have to overcome that fear of repeating yourself over and over. It’s an art getting the message through in new and interesting ways. I once read that you shouldn’t share the same thing more than five times, but I think that depends on how creative you can be with it. I currently have an automatic Tweet with the basic post details that goes out once I’ve published the post. This can be a little dull though and not very inspiring to click on. I also have my Instagram posts set to share on Twitter via IFTTT but without a direct link people have to work much harder to find the post. I love sharing images on Twitter. It’s such a text heavy place that an occasional image post really stands out, but the problem is that you can’t schedule images in your Tweets. I don’t want to publish the post with an automatic text Tweet, then an Instagram image and then another image based post all to go out at the same time. Overkill! So perhaps I should set a reminder to go back the next day, post another image Tweet and then schedule a couple more for a week/month later covering different time zones. I’m not sure if this is excessive or thorough though? I was having a wonderful time on Instagram until recently. I felt I had finally found the ideal strategy that worked well and gave me time to both share my pictures/life and engage with all my lovely Instagram friends as well. I was posting three times a day which meant that I was hopefully reaching my followers all over the world at least once a day and I could also spend a little time seeing what they were getting up to at the same time! Then I threw a spanner in the works by starting my second Instagram account for We Make Collective. I love that Instagram is the only active social media account I will have for the collective (for now at least). To me Instagram really portrays what We Make is about – sharing and connecting your work and ideas – but having two accounts has thrown me off-balance and I need to work on finding my feet again. I want to post three times a day for each account but really my days are not interesting enough for all that content! So I’m going to set up a few shots that I can use as introduction to an idea or thought I’m having once a day. I was really enjoying posting more thoughtful comments on FFD Instagram before WMC Instagram came along. I want to get back to that! I also want to start doing a series of mini interviews with makers on We Make Collective Instagram. Three images and three questions to post throughout the day. If you’re interested in being featured send me a quick message onInstagram and message you the details. I’m really excited about this idea! It’s been so awesome seeing your #wemakecollective posts and sharing them with a new audience. I’ve wrote about my Pinterest strategy here before so I’ll be brief (this post is getting long!) I Pin my favourite image once I’ve published the post and then schedule a second image with Ahology. Ahology picks the best time to schedule the Pin based on your content so I usually let it work its magic and post whenever it deems fit. I currently leave it at that but I think it would be useful to revisit old content, especially on the run up to holiday specific posts and re-Pin/schedule them again. Do any of you have a different Pinterest strategy when it comes to Pinning older content? I’d love to hear your ideas and processes! I’d actually love to hear your opinions on any of these ideas. These ways of sharing have mostly evolved naturally rather than forcing myself into someone else schedule. I’ve tried it that way before and I just couldn’t keep up most of the time. If it feels natural I think it’s easier repeat regularly. That said I’m always open to trying new things and seeing if they fit. Give me what you’ve got! You mentioned not being able to schedule a tweet with an image but you can actually do so if you use tweetdeck; you should totally check it out! Hey Alyssa! That’s so great to know. In fact I just scheduled a couple of image Tweets. That makes life so much easier! Thank you so much for that info!